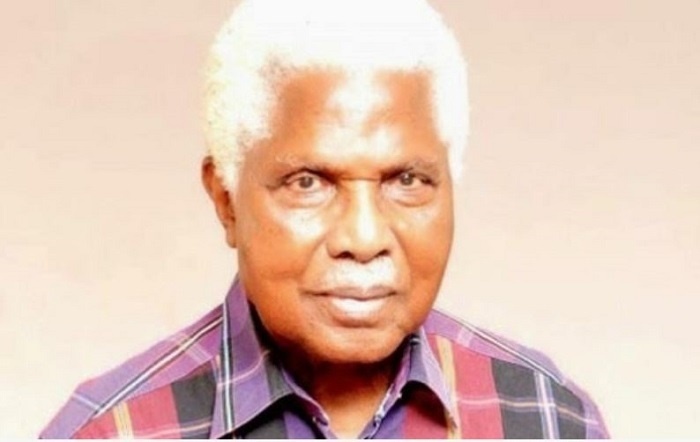 A former Vice President, Mr Alex Ekwueme, who is currently on admission in Memfis Hospital for Neurosurgery, Enugu, is reported to be in stable condition. President Muhammadu Buhari has approved the immediate medical treatment of a former Vice-President, Dr Alex Ekwueme, outside Nigeria. The approval came after President Buhari received a brief on Friday on the medical condition of the former Vice-President. It covers the immediate charter of an Air Ambulance for the emergency movement and the cost of treatment. A statement by the spokesman for the President, said Buhari prayed that God would grant the elder statesman speedy recovery. Mr Ekwueme, who is currently on admission in Memfis Hospital for Neurosurgery, Enugu, is reported to be in stable condition. Earlier, the ruling All Progressives Congress had asked Nigerians to take the situation serious. The Abia state chairman of the party, Donatus Nwankpa, called on the Federal and South-East state governments to rally round the former Vice President to ensure he gets proper medical treatment. "Ekwueme is a national figure. The Federal and the South-East governors should rally round the elder statesman to ensure that he gets the best of treatment. "He was vice president under Alhaji Shehu Shagari in 1983. Most of the Federal Government colleges were built under his watch and at a minimal cost. "The former vice president has never been indicted of any corruption. Ekwueme’s issue transcends party politics. "I call on the Federal Government and the five south-east governors to urgently move in and intervene to ensure that he gets the best of treatment anywhere in the world," Mr Nwankpa said in a statement.